So what exactly is a Digital Strategy? A Digital Strategy is a plan of action for your Online Marketing. Ideally it should be a 12 month plan which should consider your objectives, target market and what activities you are going to undertake in order to reach them. Getting help to make sure your Digital Strategy right is essential. To achieve this we host a half-day brainstorming session for you and your colleagues during which we define and agree all the necessary information required to write up a 12 month strategy. You will then receive a copy of an initial draft which you will be invited to fine tune and give us your feedback on before we put the finishing touches to it. This final version not only serves as a strategy document but is also great for sharing with all stakeholders, including suppliers, so that everyone knows exactly what your business is trying to achieve with its online marketing and how it is going to achieve it. Why does your business need a Digital Strategy? It’s vital that you know what success looks like to have any chance of achieving it. By putting together a comprehensive Digital Strategy you will give yourself clearly defined goals when it comes to your business approach to Digital Marketing. Obviously, as with any long-term planning, ad hoc tactics will have to be employed at different stages and a good marketing strategy will allow for this. What does a good Digital Strategy look like? Can’t I do it myself? Do I really need a Digital Strategy Agency? The short answer to this is yes, with templates available online it’s possible to create a Digital Strategy yourself. If you go it alone we would strongly recommend you run a workshop with all your key stakeholders. This makes employees feel engaged and you end up generating some really good ideas. However, with so much to consider and incorporate, we’d really recommend that you outsource your digital strategy not least because an impartial third party will bring ideas and processes to the table which you may not have thought of. An experienced Online Marketing agency will also be able to act as a sounding board for budgets or indeed help you construct an appropriate budget to meet your marketing objectives. 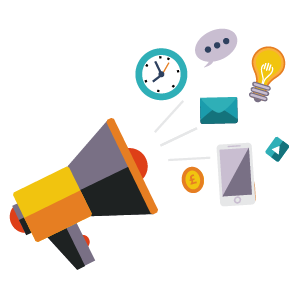 At Cariad Marketing we have years of experience providing Digital Strategy help to a vast array of businesses. How can a Digital Strategy agency like Cariad Marketing help my business? Based on your business objectives we’ll work with you and help create a bespoke Digital Strategy. It’s then entirely up to you whether you wish to work with us to implement your plan or whether you wish to go it alone. Of course we would be delighted to do all, or some of, your Online Marketing including SEO, social media, PPC campaigns or email marketing. But if you simply want digital strategy help we’re very happy to help!